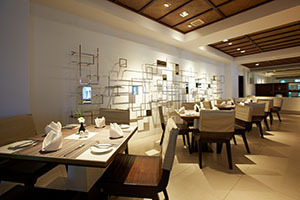 Dining Room 6.00 A.M. – 11.00 P.M.
ISEA BEACH BAR AND RESTAURANT 11.00 a.m. to 11.00 p.m. 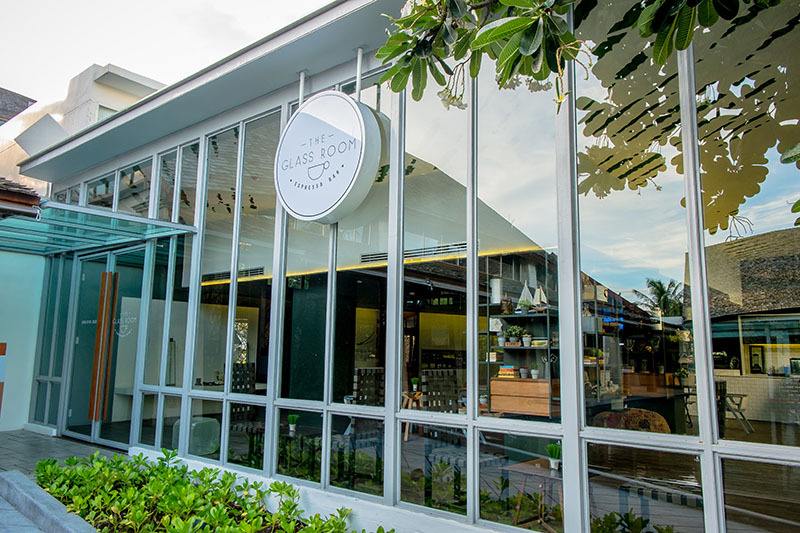 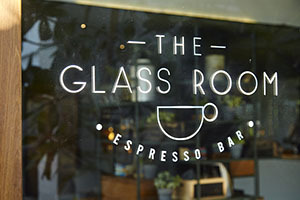 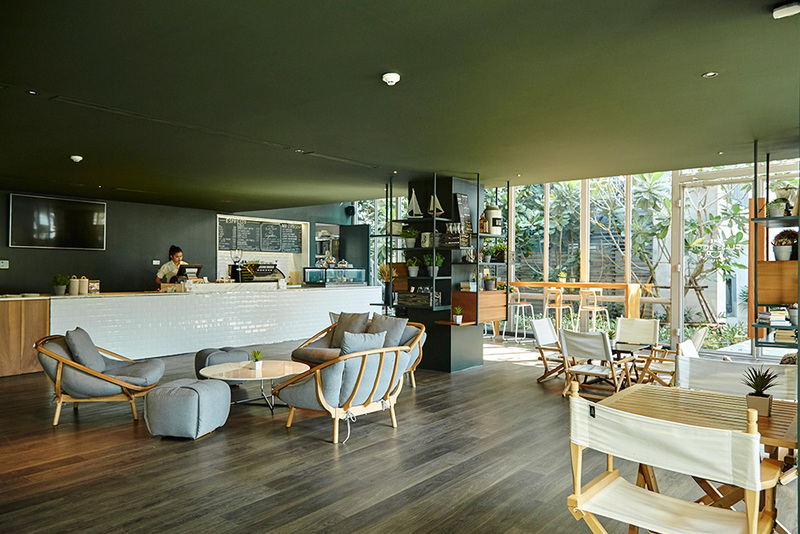 The Glass Room - Espresso Bar 9.00 a.m. to 8.00 p.m. 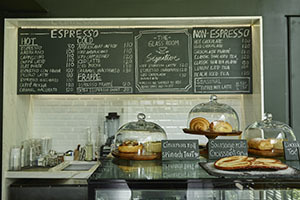 Opening times 06.00 a.m. - 11.00 p.m. 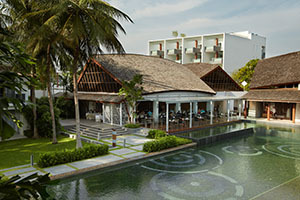 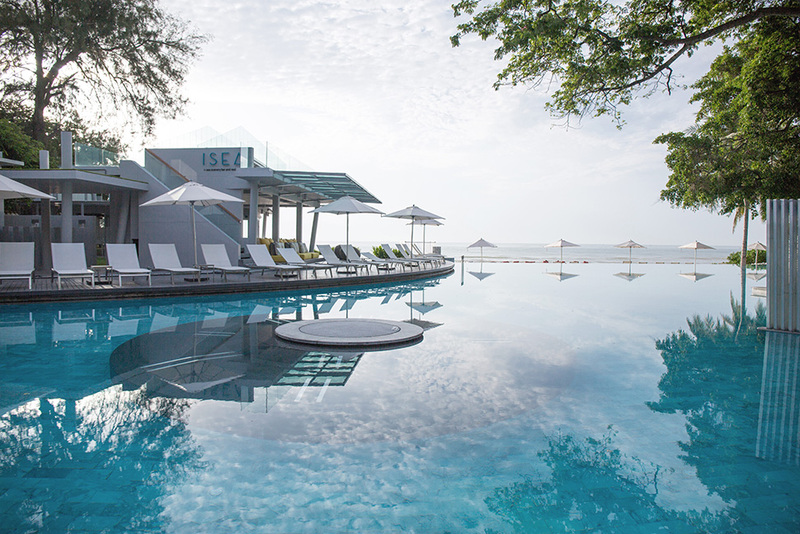 Known for the beauty of its location, its sleek and sophisticated Asian contemporary architecture, and its wide variety of luxury accommodation, including the ultra-romantic Honeymoon Beachfront Pool Villa, Veranda Resort Hua Hin – Cha Am , MGallery by Sofitel has earned a well-deserved reputation among discerning travelers as one of Thailand’s hippest five-star hideaways. 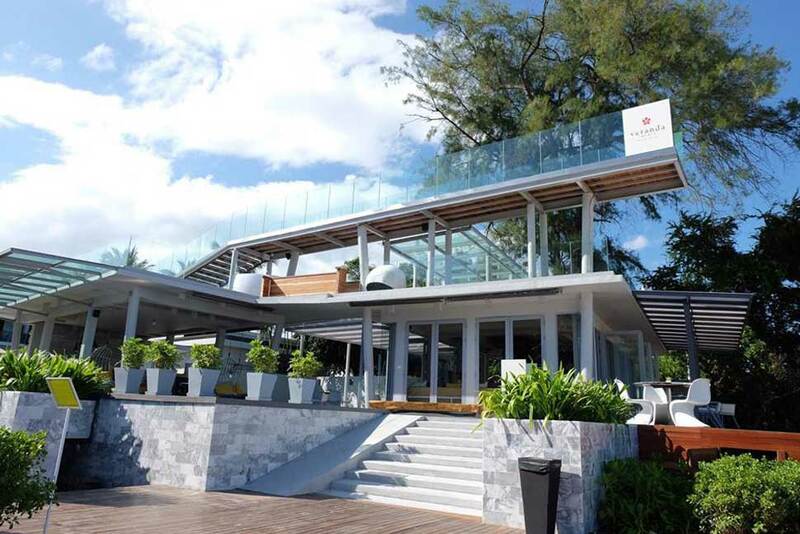 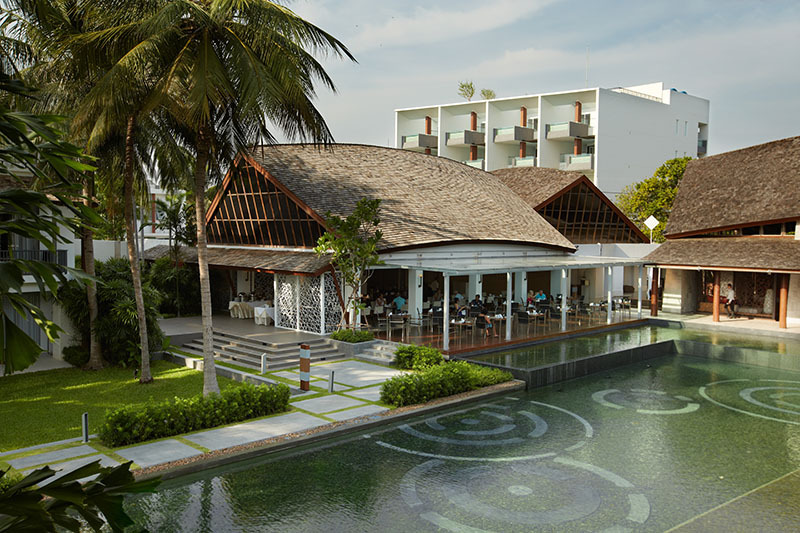 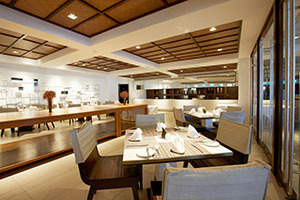 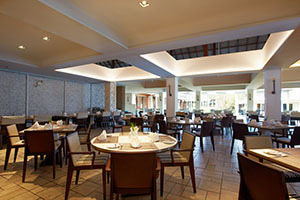 ISEA BEACH is divided into a main dining room and a bar area. 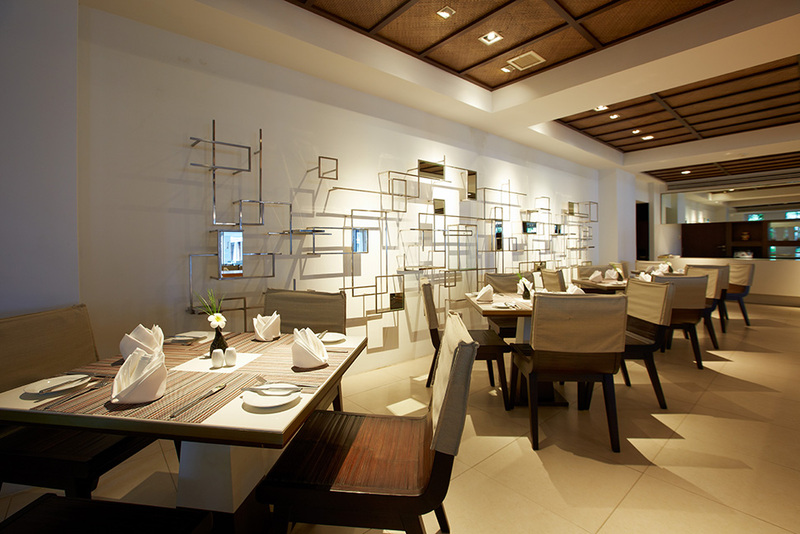 The dining room has a metallic-clad décor furnished with tables and chairs in blue and green tones, and a cool, relaxed ambience. 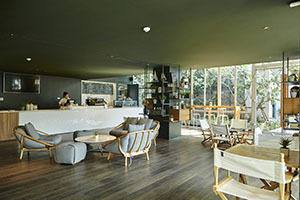 The bar is located on second storey, the upper floor featuring sculpture-like furniture and an artsy feel, while the lower floor with its comfy furniture provides an ideal spot for relaxing and enjoying the cool breezes and fresh air. 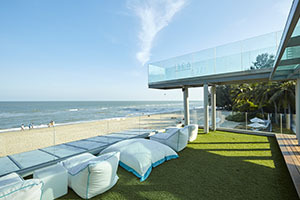 A place for quite read, get together with friends or email home from the internet corner. 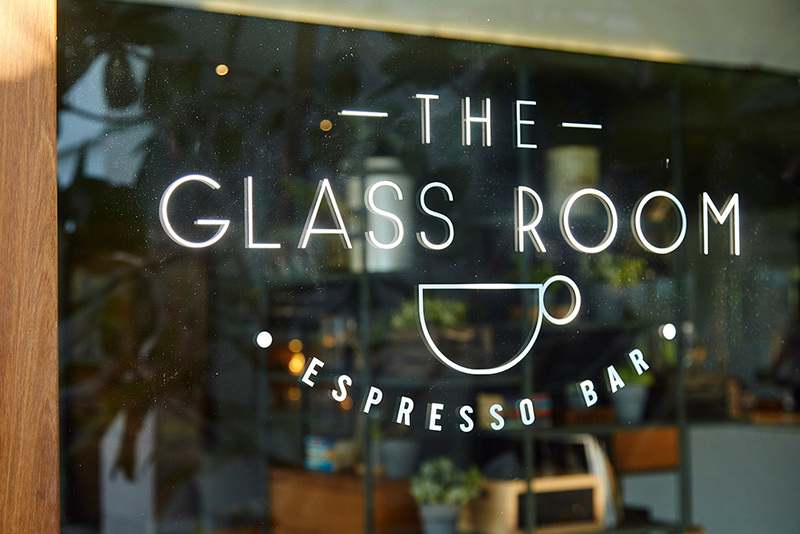 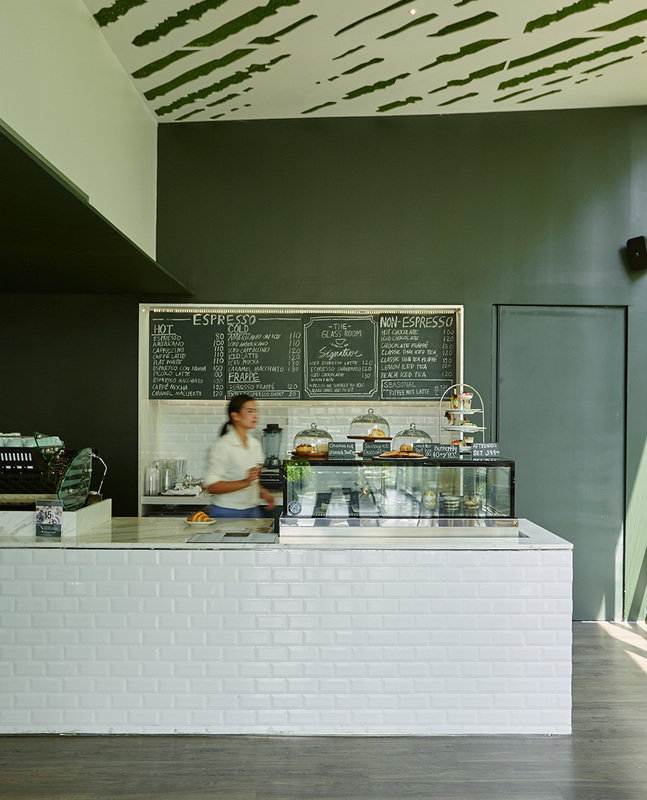 Serving a range of beverages and special coffee.